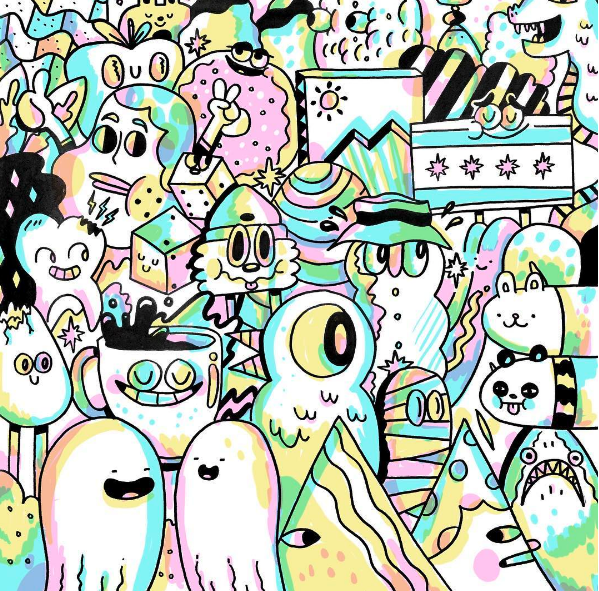 Blake Jones is an illustrator and graphic designer, as well as a friend of mine from Texas. 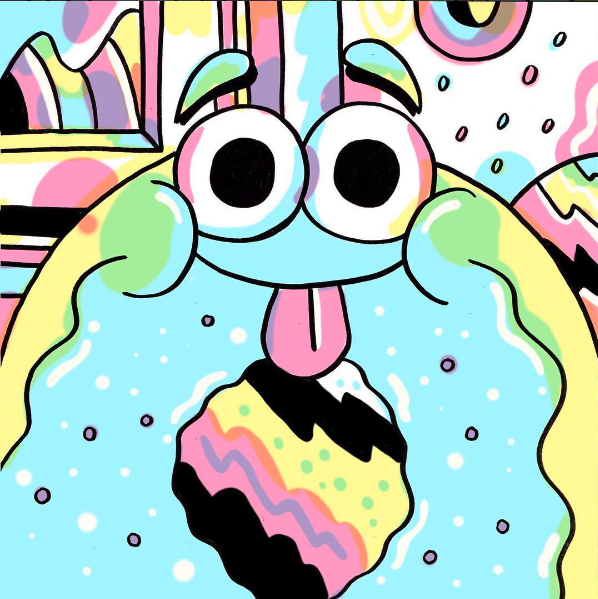 His work is colorful, fun and full of creativity. 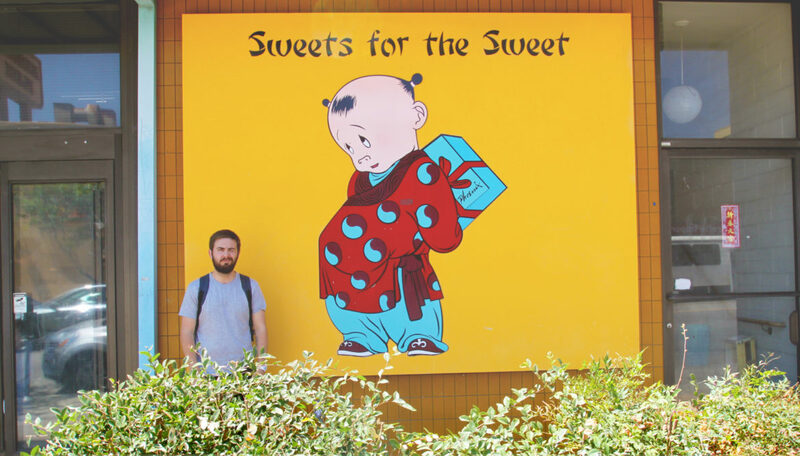 Recently visiting Los Angeles for a secretive (and very peculiar) invite-only art gathering, I decided to pay a friendly visit to an old acquaintance. Now living in the city of Chicago as a freelancer, I was curious to ask a few questions about work flow, general art life and social media inspirations. I’ve been drawing since I was a little kid and really just never stopped. I was never really into coloring books and would just draw my toys and this stuffed Bugs Bunny I had over and over again from different sides. What’s it like living as a freelance artist in Chicago? So far it’s fine. We’ve only been here for a few months so I’m still learning the in’s and out’s of everything. Nearly all of my freelance work still comes from Houston and that area, but it’s just more relaxing here that I can do some work and actually walk and even work outside without the blistering Texas sun. Like man I can actually do rough sketches for stuff sitting in the subway, so dope. Who are your top five favorite Instagram accounts? It doesn’t have to be art related. Do you ever go through artistic waves of depression? 10am-2pm everyday. By 3pm I’m usually ok.
Would you ever go back to a regular 9-to-5 office job? I would, only for certain companies; but it would have to involve a lot of travel, too. I don’t even know what I mean by this. But maybe something like Cartoon Network, or some animation company somewhere. Idk. What did you learn from working in a corporate environment and how did you integrate it into your current business plan? The best thing about working in a 9-5 environment is that is forces you to actually wake up and get your day started. I can’t imagine having never had that. I very much feel guilty if I don’t put a ticking clock above my head with projects. The worst thing is when a client just says “Oh whenever you get around to it”. I desperately need to be able to schedule what I’m doing or I most likely wont ever touch it. Will you do a 10 second doodle of me? You can follow Blake’s work on instagram: (@blake_jones) or visit his website for more cool posters and “new junk”.